This type of thing is going to happen to everyone sooner or later, no matter how much DJI tells you that their drones are invincible! Do you want to take that kind of risk with your thousand dollar investment, without first reading our best drone tracker reviews? Let’s get to it and talk a bit about the best drone tracker, and drone tracker apps available now. Don’t need a tracker but instead looking for drones with gps? Dronethusiast has guides for all the best drones including the best house drones or if you’re looking for a budget drone check out the best drone under 100. For quick reference here’s a link to the #1 choice: Trackimo, and here’s a link to the cheapest choice. The limiting factor I don’t necessarily like about the quadcopter tracker Trackimo is the limited battery life of it’s on board battery. This also means it’s another battery you have to keep charged up constantly to be ready for whenever you want to fly. However, aside from that the Trackimo GPS tracker is a high quality product that is definitely going to pay for itself if you ever have a lost drone! Only $139.99 click here for this special price! Check out the product demo video at Trackimo. Tracking your drone has never been easier or this inexpensive. The Marco Polo UAVfind is an accurate reliable system. It is a user-friendly, low-cost and accurate way to locate your drone at all times. 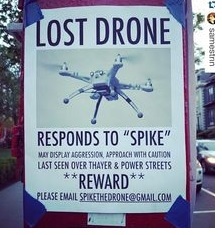 Do not take chances with drone location. This tracking system will find your UAV up to 2 miles away and locate it within inches. That’s right; it is totally independent of any other service or technology. It transmits bearings and location every 5 seconds, becoming more accurate as you get closer. Within a close range, you can track your drone or UAV down to a few inches. The location and bearing is sent directly to your display. The 2-mile radius should be more than sufficient but if not, simply travel in the general direction of flight until it is located and you start to receive data. The transceiver causes no interference with any other equipment or communications of you UAV and the tracking system can be turned on and off as required. The tracking system is small and light at a mere 46g including the casing and battery. 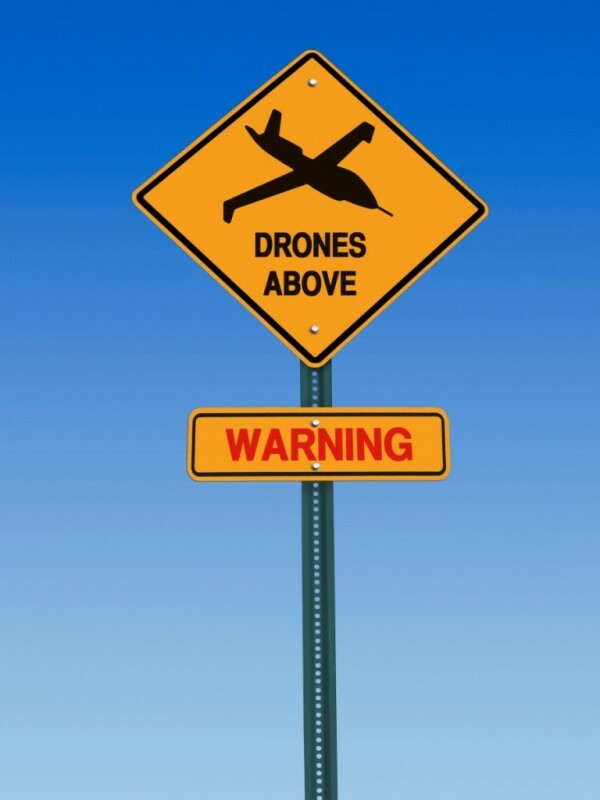 This means it can be installed without any negative effect on the drone. 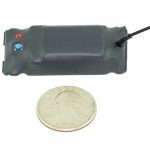 This is by far one of the smallest drone tracking devices on the market. Considering the value of the drone equipment, the cost of the Marco Polo UAVfind is negligible and a worthy investment. It will give you peace of mind at a nominal cost. Battery life is exceptional at around 90 days. 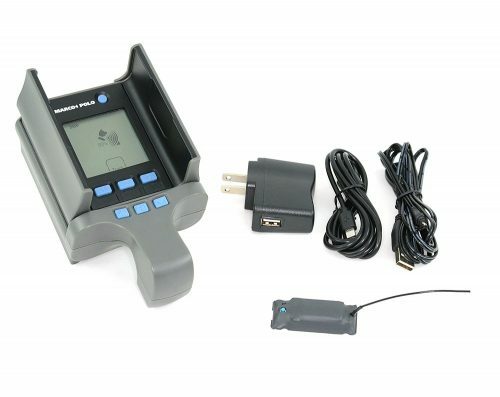 The tracker is easy to use and one button is all that is need to initiate tracking when needed. Having your drone crash or flyaway on you is a terrible experience; make sure you’re protected by using one of these quadcopter trackers. Of course a crash landing and a flyaway is not the same thing. After crash landing, most of the time it is easy to find your drone even if it is out of sight since the FPV unit or the phone application will show the last recorded GPS tracker location. In that case, your bird will be right there or in close vicinity. In case of a flyaway, your drone will likely lose satellite lock. This can be the result of interference or some other reason such a main power line being near by that messes up your control, this is why it’s important to have a secondary uav tracking device. A sudden change in the weight balance of your drone like the gimbal coming lose for some reason will also cause a flyaway, because your quad will realize it is not in horizontal position and will try to push against the tilt thinking it is caused by wind. The result: she is flying horizontally, out of control and will fly until the battery dies or it hits something. You can find lots of stories like this on the internet but it is important to point out that most popular quads are pretty dependable and there are thousands of happy users with no problems to each horror story about drones breaking lose and never coming back. Never the less, it if happens, you want to avoid having to roam corn fields or borrowing your friends quad for recon flights to recover it. Make sure you cover yourself by using the TrackR drone tracking system, the Trackimo uav tracker or the Marco Polo Tracking-UAVfind-System. In most of the cases, the drones are fully repairable even after a fairly serious crash. The Find My Phantom function on DJI drones is also designed for this problem, but will again be of no use if the drone itself has no idea where it is. Hopefully you take the time to examine your options for drone tracking and pick the right choice for your needs. What uav tracker do you use? Let us know by dropping a comment below so we can chat about the best uav trackers on the market! How to Track Your Drone After that Dreaded Flyaway. Find your drone, the FPV unit or the phone app will show the last recorded GPS location. The trackers you’ve mentioned seem to have a very limited range. Have you found one that can actually be used on a DJI Phantom 2 without interfering with its signal and still give you a chance of finding the machine if it takes off outside a 100 yard distance? Hello John. Sure. Check out Flytrex. If you are in the US, you might want to pre-order Flytrap Live3G as the older 2G version is not ideal in North America where the 2G network is too congested. We will do a hands on test of Live 3G soon. If you have lost a copter before, you know why these are important, if not, you will :). Hope this helps. 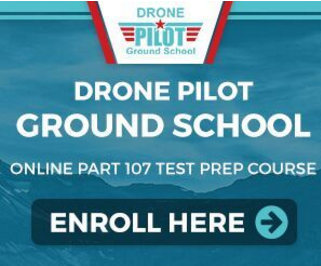 This is probably a stupid question, as I know nothing about drones. (someone I know had a “fly-away”-in Europe) There was no GPS tracker-nothing.Is there even a remote chance of finding it? Looks interesting. I’ve also been looking at a tracker named “Tile” but that is limited to ~100ft because it works off of Bluetooth. I’m also curious to find out how expansive their CrowdGPS network is (and what CrowdGPS actually is). We have a bunch of quadcopter enthusiasts using the Tile tracker to find their down drones in tall grass & trees. We’ve had 3 really good success stories & a good review by flite test on youtube. Love to chat with you about it. Hello Alex. Sorry for the late reply, was due to holidays, have lots of catching up to do. The best thing I can suggest that you do is reaching out to your local community to see if anyone recovered it. I don’t think your quad has Find My Drone function like in DJI units, but if I am mistaken, you should try that. For future instances and avoiding such a loss in the future, I suggest you buy a Flytrex unit here: http://www.flytrex.com/get-live-3g/FBSPECIAL/?a=FrjYTL5gcI5MTgQs&campaign=comment You will get a discount on your order! Safe flying! Hi Zsolt, we’ve had lots of people using our Loc8tor Lite (www.loc8tor.com) to find their drones and remote controlled planes. There’s a few good videos on youtube with customers demonstrating use (here’s one https://www.youtube.com/watch?v=0o48Uw0-hVc). The tag’s are very light (less than 0.2 of an ounce) and small. They have a range of up to 400 feet with the batteries lasting about a year. Loc8tor is really bad. I have it, the tag itself is very weak. Pops open on its own, even taped up it fails a lot. I have to open it up and reseat the battery. Range is 10-20m at tops. Too unreliable for quads. A question about the Flytrex model being hardwired into the quadcopter’s battery source, how much of the battery will it use? Considering the 20-25 minute flight time, how much energy, if any, will it use and how much time will it take away from that 20-25 minutes? Hi, I am in Australia. Purchased the Trackimo and while in a larger city etc it works fine, soon as I moved to a less populated area. Still with great cell coverage it stopped working. Reason, the Trackimo is 2G, Australia has been fasing out 2G for a few years now and so if I am in a 3 or 4G zone this particular unit is useless. Does Trackimo do a 3G or later version? I love this gadget. I put it on my drone when I fly, so that I won’t ever lose it again. Also found it useful in my luggage, I could track my bags all the way from Dallas to Majorca! I knew that they were never misplaced on the trip. It even sends me a text message when the battery is getting low. I wish I had this when my kids were teenagers, it would have been great in the backseat or trunk. I am certainly not an expert in this field but I’d like to know why is a cell service subscription needed for a tracking device? My drone (P4) knows where it is all the time with GPS and is reporting that data back to me on the Go app. I’m sure I am missing something about this and would appreciate if someone can fill me in. The purpose of the cell service is so you can find your drone in the event you lose your radio signal. Let’s say your controller suddenly goes dead. Your drone tried to come home but hit a tree or lost battery power or any number of things, and so ends up in a field somewhere. Where is it? How would you find it? You’d find it with a GPS 2G or 3G tracker which was attached to your drone because it has near limitless range. I’ve used trackers such as this one to find my drone at least a half dozen times. Charged SIM cards can be purchased for as little as $40/year. Trackimo is very reliable GPS device, i really like this device due to its very accurate tracking ability and due to its a device that is very to use. I think trackimo is awesome and reliable GPS. I agree! A perfect product for keeping track of anything! Also gets accessed in any device: PCs, tablets and smartphones. Be advised: Flytrex’s (www.flytrex.com) company mission has changed and they have all but abandoned the Flytrex Live 3G tracker. The Flytrex Live 3G server has been down since Aug 22nd, 2017. Rumor has it that it is being re-installed at x.flytrex.com. The new site is up, but the network is still down as of now. We hope flytrex will bring the server back online soon, but flytrex the company doesn’t really support the device any longer – meaning they will not answer questions, provide warranties, etc. Nonetheless, the hardware still works, and theoretically everything will work fine again provided Flytrex brings the server back online and provides an updated app to connect to the new website. The indication is that they are working to do this now for the benefit of previous customers who have purchased and own those devices. If the server comes back online, devices can be found on other sites such as eBay. Also, even without an app, the tracking can be done with a browser. The advantage of Flytrex Live 3G is it is LIVE. You can track the device live, by the second, as it is moving – via the flytrex server. Unfortunately, if your drone was released after 2015, chances are the Flytrex Live 3G will not work. You need an older drone such as the DJI Phantom 3 Advanced/Professional (you would need Flytrex Live 3G Plus) or any P2 series drone. It will not work for the P3 Standard. Thanks for that update Mark, I’m going to have this article updated. Ok, been reading all these replies, but my question is, if I’m in an area that does NOT have cell service, which I’m in a lot, do any of these still work off the GPS on my phone?? great device but still 2G minimize its quality for the new systems . Trackimo has the 3G device now and it works better than the 2G of course. No more flyaway drones for me with the Trackimo 3G on GPS signal when I travel other areas in the world! Hmm, that’s interesting! I’ll check this one out soon. I recently got the 3G Trackimo device and works just great! It’s very lightweight that comes with accessories to attach to your drone. The app is very user-friendly and updates the real-time location. Used it at some areas where the cellular connection is poor and it did get the location well. Very dependable. Been using Trackimo GPS tracker and it gave me no disappointments. It’s very reliable because it gives you real time location updates for your drone. Agreed! I’m a Trackimo user as well and works perfectly with my Phantom. Been using Trackimo for 3 months and this gps tracker is still really working great! No more cry cry if I lost my drone again. I prefer using Trackimo than other gps tracker because aside from it really works great, it is very lightweight. Thank you for this info! 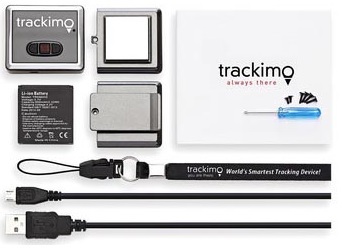 Been reading all the comments and I realized, many here are using Trackimo which I think is good also for me who’s looking a gps tracker for my drone! I would rather choose Trackimo. Why? Cheaper, realiable, lightweight and can be tracked anywhere with cell coverage. I agree with its affordability since I pay $5 per month instead of a more expensive rate. Both are good but I have to choose only one so I’m planning to purchase Trackimo since several people said that it is reliable and affordable. Hope this tracker won’t disappoint me. 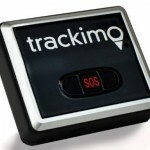 I’m using Trackimo and so far I have no issues using this gps tracker. I’m a trackimo user and I can say the device is a decent one. The web app is amazing and convenient to use, the device is small and can easily be use. Great tracking device! It exactly provides excellent service and I love their features they’ve put with the tracker. Trackimo had been a worth it purchase for its security and versatility. I tested it out before using in my drone and it worked great, this work in areas with poor signal and in the middle of nowhere. Exactly! Drones can fly easily if the tracker is lightweight and it will never be hard to find using a good quality of tracker. Choosing a drone tracker is quite tough! Both of these trackers have good reviews. I will be traveling internationally so I need a tracker that works worldwide and think Trackimo has this feature. Interesting. I’m a new drone user, my drone pilot friends had been recommending to get a GPS tracker too, they’ve had quite a share of drone crashes and flyaways. It sure is nice flying with confidence if you have a GPS Tracker, knowing you have a way to locate your drone if something goes amiss. The risk of fly away is always there, so it’s always better to be prepared. I’d prefer to invest in a dependable tracker. It is sure nice flying my drone with confidence knowing I have the means to locate my drone in case something goes off course. I’m glad to have chosen Trackimo as my GPS drone tracker, it just works well with my DJI. I want to know something? I have found a quadcopter near my house. May be somebody lost it? Now can i find out its previous location anyhow? Ok, so why do we need to have gps and all the other modern tech fixes that cost so much? Why can’t we use the old tried and tested telemetry used by wildlife researchers for the past 40 years or so. It seems that is a more efficient system. Battery life is usually not an issue for what we are doing. They make them for small birds, so weight isn’t an issue. Completely independent of al other systems. Finds things to within a few feet usually. No ongoing costs, subscriptions etc. Sometimes we get so caught up in ‘new’ technology we forget the simple. Anyone try this? I am about to and will report my findings..
“I read every review before purchasing it. I needed to figure out how to use it, and when I convince, I bought it. So I put it in my Drone. I monitored it every time I lost my Drone in the middle of nowhere. This tracker is awesome!! I can’t believe how on point it is. Time, the gas used, speeds he’s going. I love the over area view, like google earth.